Current representative: The current representative is Rep. Tyrone Carter (D-Detroit). According to hsi campaign website Carter retired in 2008 after 25 years with the Wayne County Sheriff’s Office. He previously served as assistant director of campus police at Wayne County Community College District and the cmmunity involvement specialist at Southwestern High School. 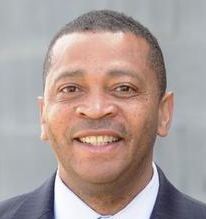 He unsuccessfully ran for Detroit City Council in 2017 before winning the House seat in 2018. He raises money through a House candidate committee, Committee to Elect Tyrone Carter.